I have a confession to make. I never fully finished decorating the porch for fall. 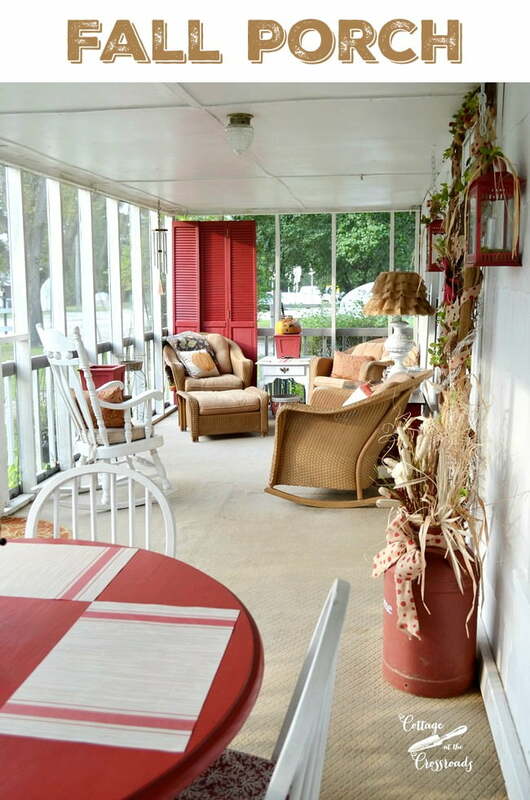 But I thought I’d show you what our fall porch looks like right now before my focus shifts to Christmas decorating. 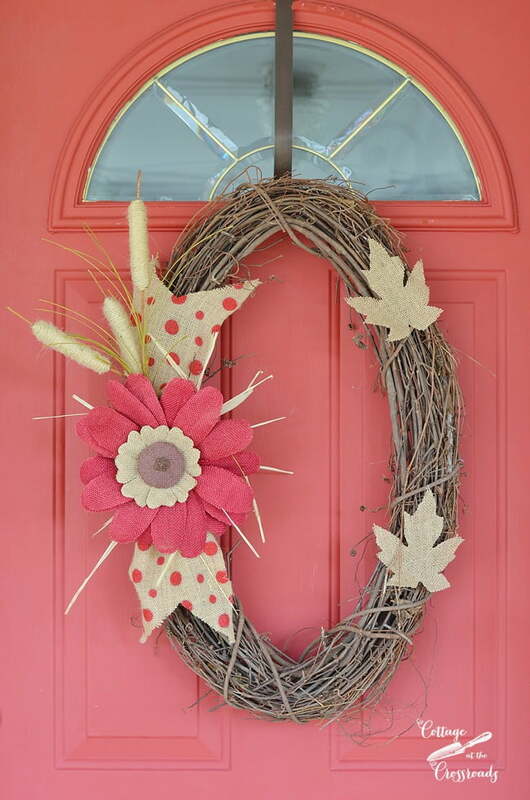 I started decorating the porch back in September by making this simple wreath for the door. 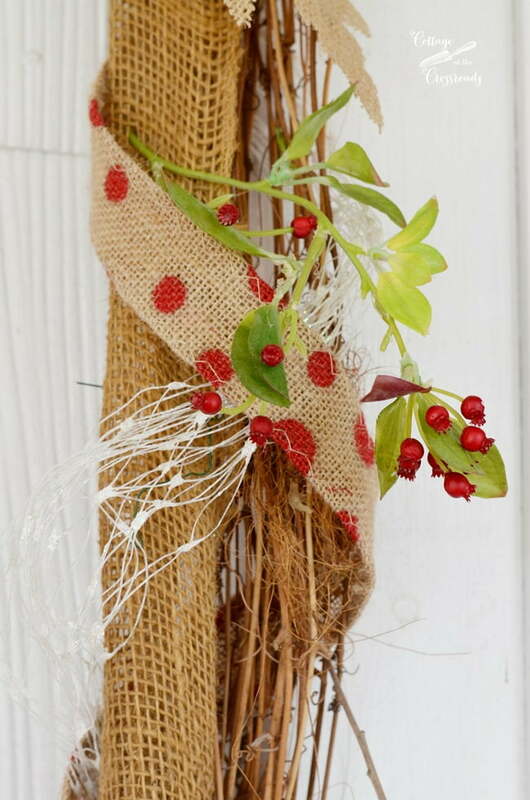 The color scheme for fall was driven by the red polka dot burlap ribbon that you see on the wreath. The grapevine wreath is oval shaped rather than round. 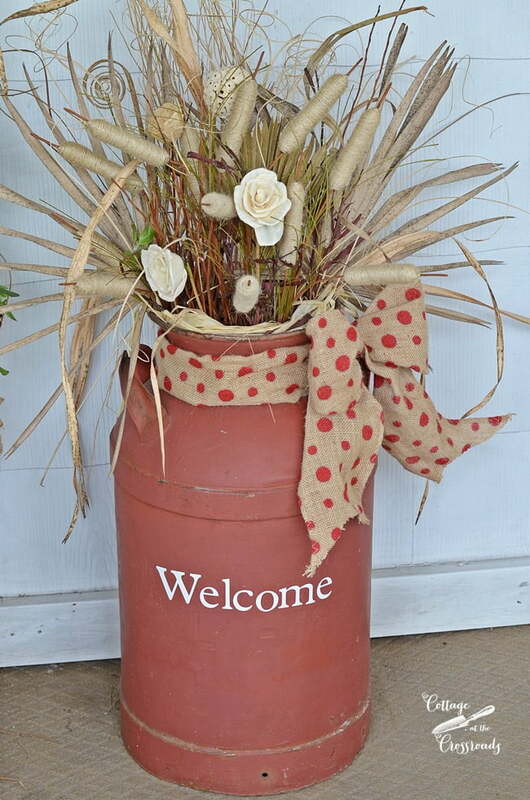 The twine cat tails on the wreath are also in this arrangement that I placed in the old milk can that is beside the front door. The red lanterns that hang beside the door got a little spoofing up as well as the garland around the door. More red polka ribbon! If you’ve been following our blog for a while, you know that this grapevine garland has been decorated for all the seasons for several years now. It’s made it another year and the polka dot ribbon and the greenery with the red berries may stay up for Christmas! 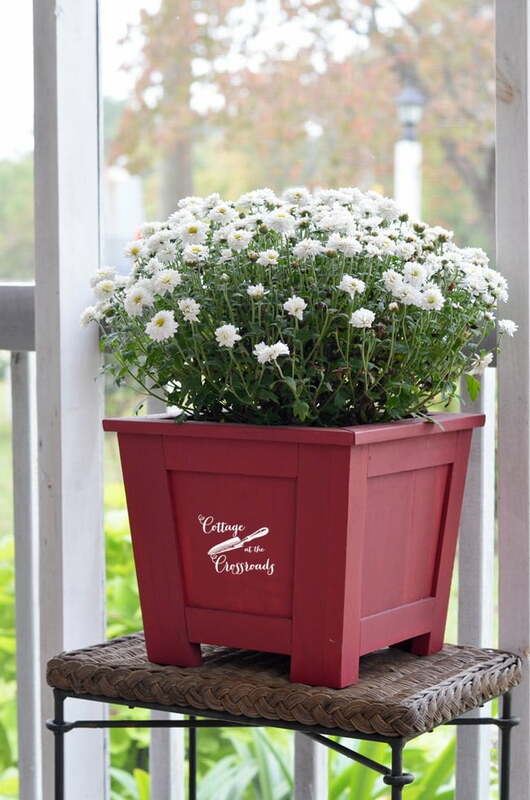 One of the things that I have enjoyed most on our fall porch is this white mum that I plopped down into the red planter. The blooms have lasted the longest that I have ever seen! 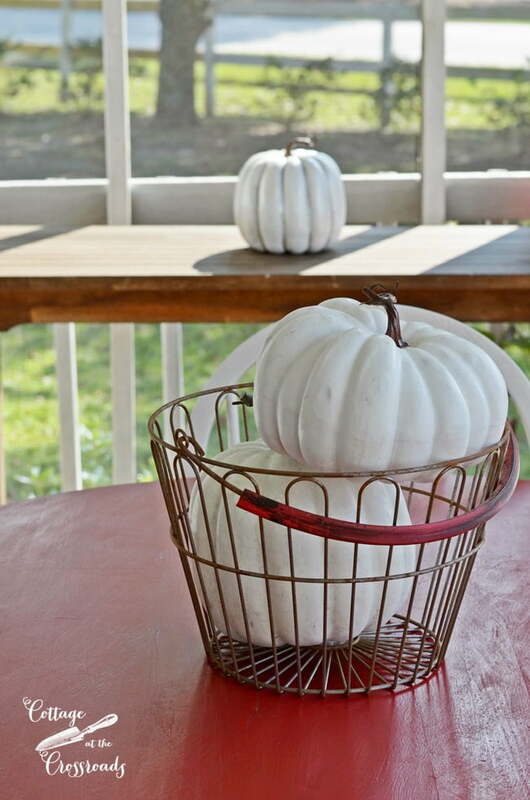 I’ll have to admit that I’ve enjoyed the more subdued fall decor on the porch this year. I usually go all out with my fall decorating, but this year it got interrupted by two things. The first thing is that I started painting the repurposed closet doors red, and that project has taken F.O.R.E.V.E.R! Mainly because we have had an extremely wet fall and that I have been painting and waxing them by hand. But I am down to only one panel now so the end is in sight! But the constant rain that we’ve had over the past two weeks is keeping me from finishing the job. Between the clouds and rain, we have had some nice fall weather allowing us to enjoy the porch as you see little Henry doing. 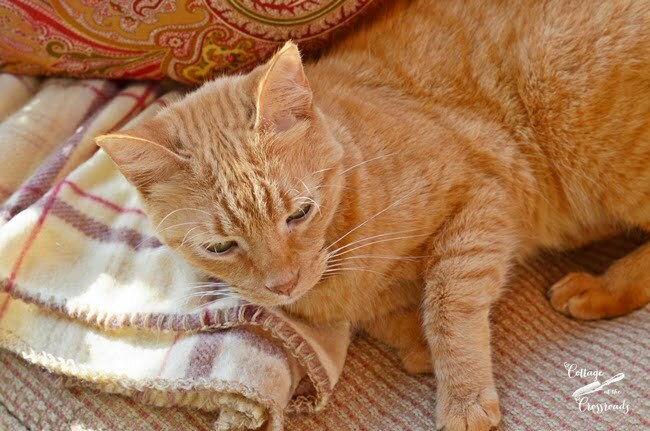 We’ve always called him little Henry because he has always been a small cat. I think I was disturbing his nap when I snapped this photo of him! 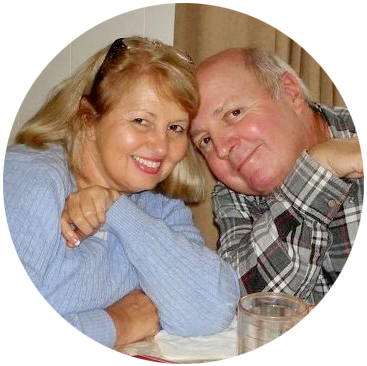 I hope you are enjoying some beautiful fall weather where you live! Join the club! I plopped two mums on the porch and called it good. your porch is just beautiful…have yall thought about making it a closed sun room.with glass windows..my friend enclosed their front porch n she truly enjoys it…..really like the color scheme..fall colors n will soon be time Christmas..
Peggy, I would love to put in windows on the porch, mainly to keep out the pollen in the spring! But I would want them to be operable windows so I could enjoy the fresh air most of the time. 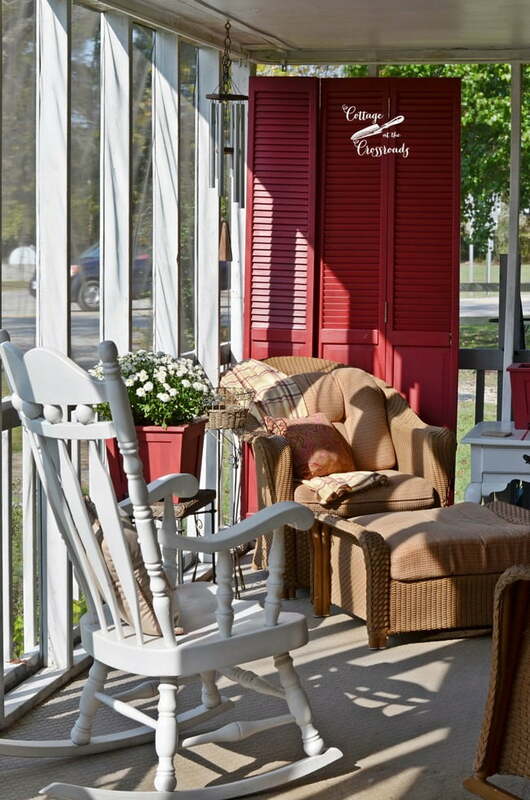 Love your sweet and cozy porch. 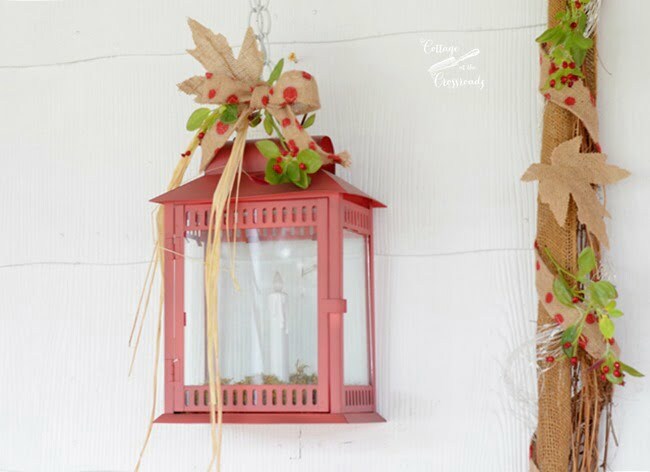 Love the red and all the fun fall touches. Beautiful. Love all your red, especially those fine-looking shutter doors! 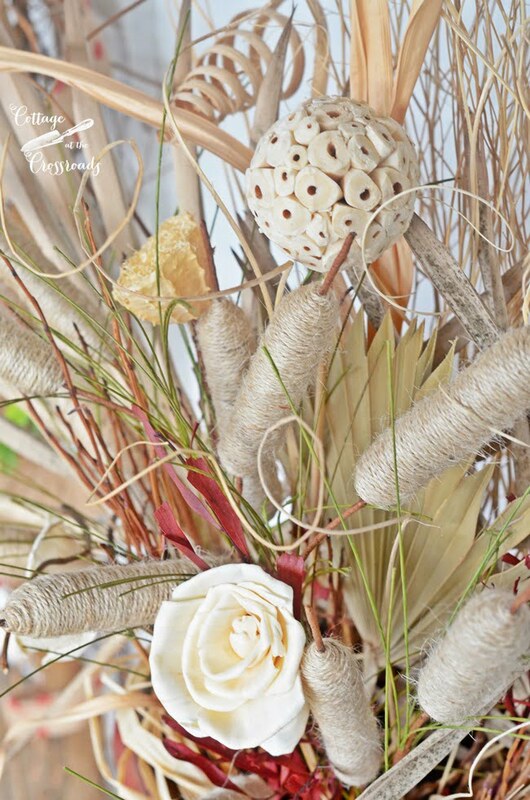 They make a wonderful backdrop for your wicker chair. I’m sure you’ll be glad to get the last one painted–I’ve painted a number of shutters and can appreciate what it takes to do a good paint job on them! You have a very lovely and inviting front porch!! I never did anything to our front porch this fall except stack some pumpkins. We have had more clouds and rain over the last month and it was just never a good time to fix up the porch. Onward to Christmas at the end of the month. 🙂 Your porch looks mighty good to me. 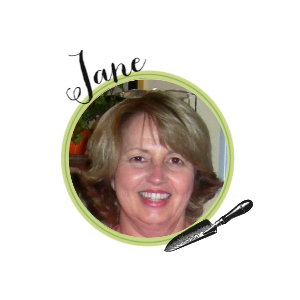 Jane I really like the simpler fall version. I’m going simple for Christmas this year I don’t feel like swapping so many things out .